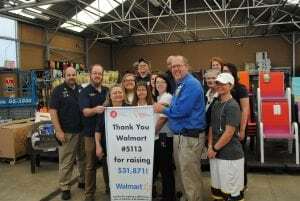 We filmed at Store #5113 in Pell City, AL and they are gearing up for this year’s campaign! After raising $31,871 in 2017, they are ready to kick off 2018 and raise even more funds for their local Children’s Miracle Network Hospital, Children’s of Alabama! We are so thankful for their continued support!